As we know that the attestation period for MIPS 2018 fiscal year has begun. There are many MIPS eligible physicians who are going to be at risk of getting a negative 5 percent adjustment of the payment. You should be smart enough to let this negative adjustment affect your practice’s revenue. The clinicians are supposed to submit their MIPS related data before April 2nd, 2019 to avoid the negative payment. There are various reasons why many MIPS eligible physicians are at risk of failing to meet the MIPS requirements. 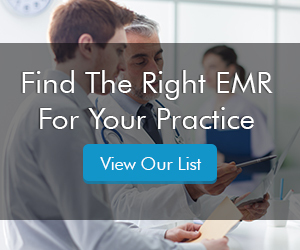 Maybe the physicians made a switch to a new Electronic Medical Records (EMR) software in the middle of the year and adopting a new EMR software didn’t go as expected. Or maybe they are a small practice and have limited resources and the provider has some very complicated schedule, which makes it difficult for them to track their performance. If your physicians are MIPS eligible they must submit enough data to avoid a negative payment penalty. It is in the best of your interests to make sure that submit it. First things first, you should confirm the MIPS status of your provider for the MIPS 2018 reporting year by entering the 10-digit National Provider Identifier (NPI) number on the Quality Payment Program’s website. If the provider is MIPS eligible and didn’t meet all the requirements then you should submit at least 15 points and learn more about the Quality Payment Program (QPP). The most efficient way for avoiding a penalty is to submit Improvement Activities. The improvement activities constitute 15 percent of the MIPS score. By submitting at least 15 points you will meet this category. You should take enough time to carefully read the activity description with your providers to confirm that they have completed the activity description. Then you should make a note of the Improvement Activity ID and suggest providers come up with any supporting documentation that proves they completed all the activities. The final step is to help the provider login to the QPP attestation website by using their EIDM or HARP account. After logging in, click on the link for Improvement Activities, then enter the reporting period: 90 days up to a full year. Lastly, find the selected activities and click ‘Yes’ for each applicable activity. After doing this, you have successfully helped them submit enough points to avoid the MIPS negative payment adjustment.